Good morning and welcome to Summit Up, the world’s only daily column that’s so fully imbued with the crisp autumn air that we sorta crunch when we walk. We feel like a barrel of Winesap apples in a wooden wheelbarrow in northern Vermont, with cider sloshing around our shoes and pumpkins perched on our heads. It’s just so friggin’ autumnal out there! (At least it is today, Tuesday, as we write. We hear there’s a cold front moving in, so by the time you read this there could be a foot of snow on the ground, all the golden aspen leaves will be stripped from the trees and you’ll be saying “What the hell are those nimrods over at Summit Up Central talking about?!? )Enjoy it while you can, that’s all we can say. And if counting down to ski season makes you feel joyous as well, then go for it. We think we’re at something like 37 days for Copper and Keystone and possibly/probably only a few weeks away from A-Basin and/or Loveland. If you think waxing your skis or board is important (we do but never quite get around to it) you might want to engage in such activity. ***OK, we have what looks like kind of a Scum Alert here from Sheryl in Silverthorne, who writes thusly:Can you please print something asking the lady that just took my patio furniture off my front porch to please return them? My ad on craigslist clearly stated that anything in the driveway (not the furniture on the deck) was free for anyone to take. Yes there were two outdoor tables in the driveway yesterday but they have since been picked up by people. You helped me out once before when a contractor took my dogs favorite toy from the front yard which he did return.So noted, Sheryl. Although we do have to point out that this could be a karma problem, since using craigslist is EVIL! You should be supporting your local newspaper by using Summit Daily classifieds, and we make no bones about it. When’s the last time craigslist provided you with a Summit Up laugh, or covered your local town council, or printed a photo of your kid playing soccer? We can only provide a free paper every day if we get community support – so thanks to all our advertisers and folks who use SDN classifieds instead of evil, ineffective, spam- and prostitution-ridden random classifieds sites. Phooey! ***We’re still looking for submissions for our Local’s Lessons & Lore contest. Right now, we want to hear your best “I got lost” story. 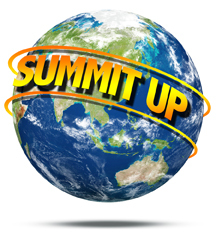 Send us yours at summit up@summitdaily.com. To whet your appetite, here’s a fun submission from Travis Gilbertson, who writes as such:I moved to Breck in 2002 and got a job working on the mountain at Keystone shortly after. Some time around mid January that year, 10 or 12 of my co-workers and I decided that we needed to find out for ourselves what this phenomenon called full moon snowboarding on Loveland Pass was all about. Everything started out great. We took three cars full of dirtbags up the pass and for the next several hours enjoyed powder conditions under a bright night sky. Things could not have been better. After many runs and draft beers, I had to sneak off into the woods to “do my business.” Imagine my surprise when I returned to the fire to find all 12 or so of my friends gone without a trace, as well as my new snowboard, backpack, and the rest of my gear as well. I returned to the parking lot to try and hitch a ride, but of the few cars passing, no one stopped. Finally, after four hours of hitching and freezing in the dark, a Liftie on his way to the Basin stopped and gave me a ride to the Basin. As the Summit Stage wasn’t running for a while yet, this guy let me sleep in his truck for a while. When I woke up and was walking to the bus stop, someone in the parking lot yelled, “Hey, man, I think I have your pass!” Well, my pass was in my backpack the night before. When I walked over to this guy’s Subaru, not only did he have my pass, but he had my snowboard and backpack and everything else as well. He explained that he was getting ready to leave from the party the night before and he had mistakenly taken my gear thinking that it was his buddy’s. As we had a good laugh over the previous night’s activities and the coincidences in which I got all my gear back, his buddy showed up and invited me to go for runs on the Professor with them. I was about to decline on the basis that I didn’t have a beacon, when the buddy produced an extra one and told me I was welcome to use it. My wild night of being stranded on Loveland Pass ended with more powder runs on the Professor with new friends. As for my friends from the previous night, they all claimed to think I was in the “other guy’s car.”Great story! Let’s hear more! On that note, folks, we out for today.